We are happy to announce The New Tropicana Las Vegas as our new Strip shuttle drop-off location. 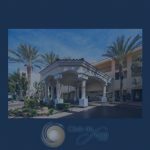 It is an ideal drop-off point, situated just three miles from Club de Soleil on the south end of the Strip in the heart of the action. What’s more, the New Tropicana Las Vegas is making it worth your while to stay and play. Just join the Trop Plus Players Club and your first $200 is on the house! Click on the link for details. We are delighted we could enter into this new partnership. Please see the front desk for Strip shuttle departure and pickup times.